Katie was an absolute pleasure to work with!! My dog got hit by a car that didn't stop- and I lost my baby, so I got onto Etsy looking for something custom to my liking with pictures of my baby and came across her page. From beginning to end, Katie and I were in contact with one another... she would send me pictures to make sure I was 100% on everything she was designing!! I ended up loving her and her work so much I ordered another one for my dad for Father's Day in the same week for my childhood dog. 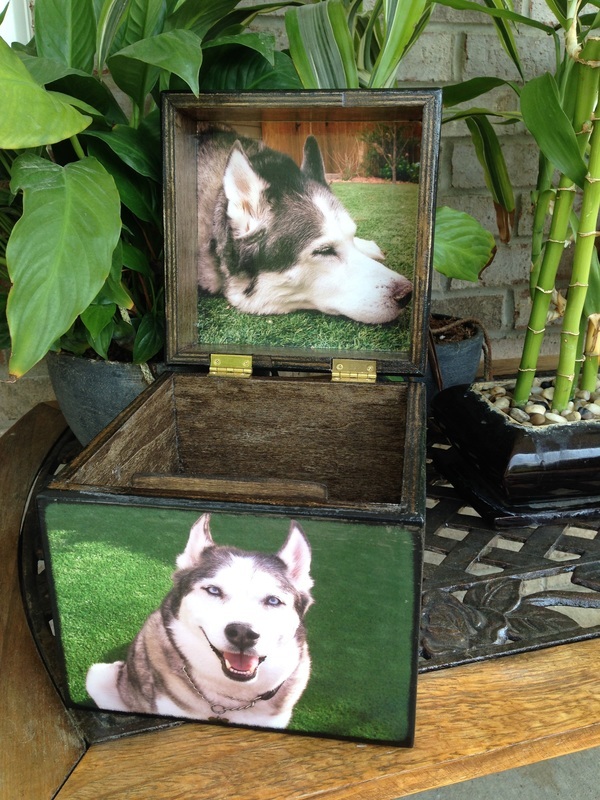 I actually got my dogs urn before I even got her ashes back, she was super fast on getting it done and sent out to me!! Highly HIGHLY recommend her work!! Thank you Katie!! You will be apart of my house forever! 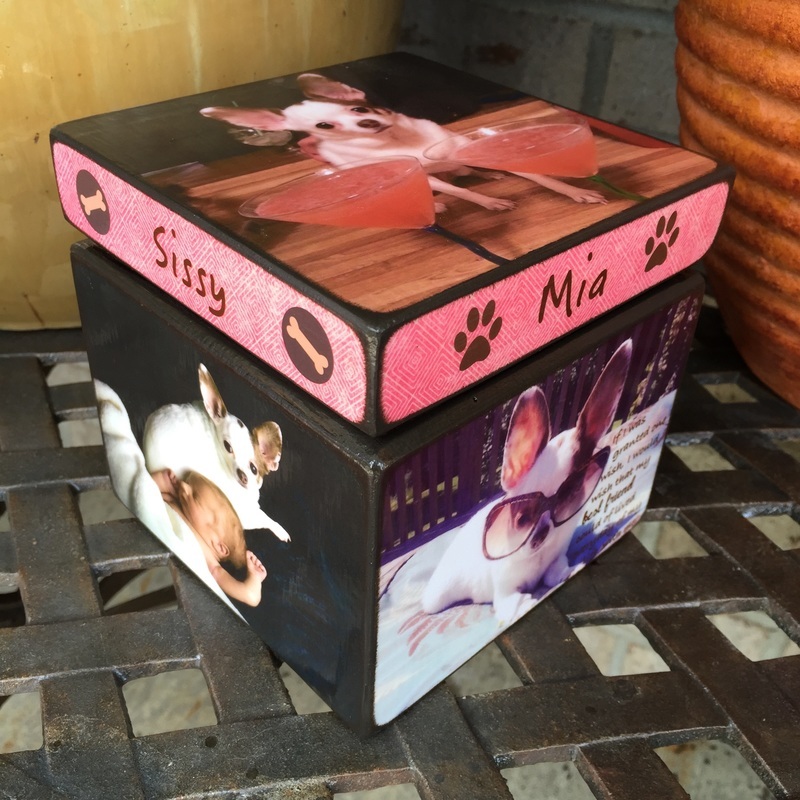 I love Mia's urn and I can't wait for my dad to see his!! 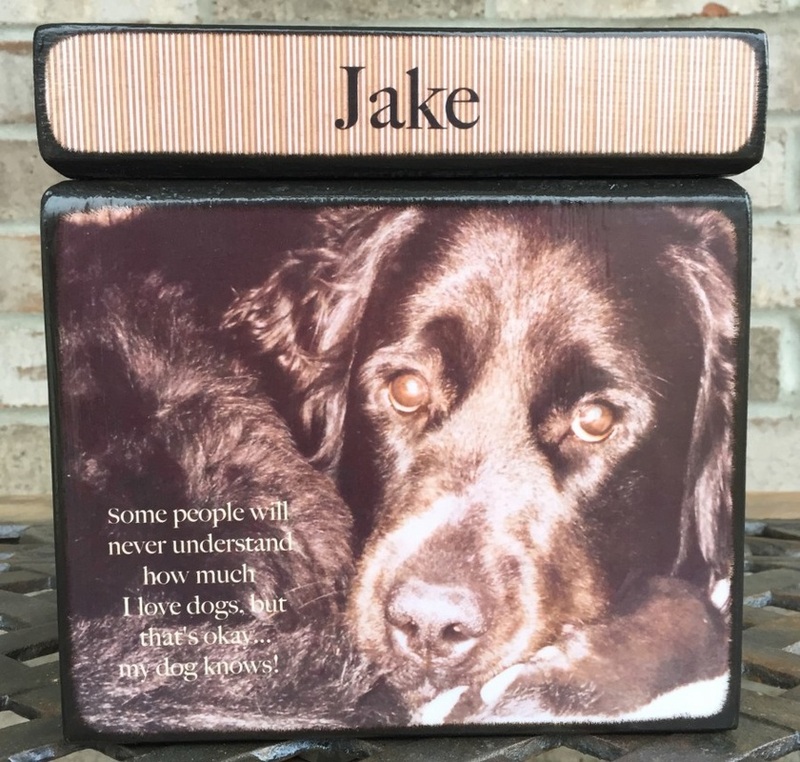 When I lost my heart dog Karma, I searched for days for the perfect urn, but nothing I found online seemed fitting for the best dog that ever lived. I stumbled across Katie's urns and just KNEW that i had found what I was looking for. 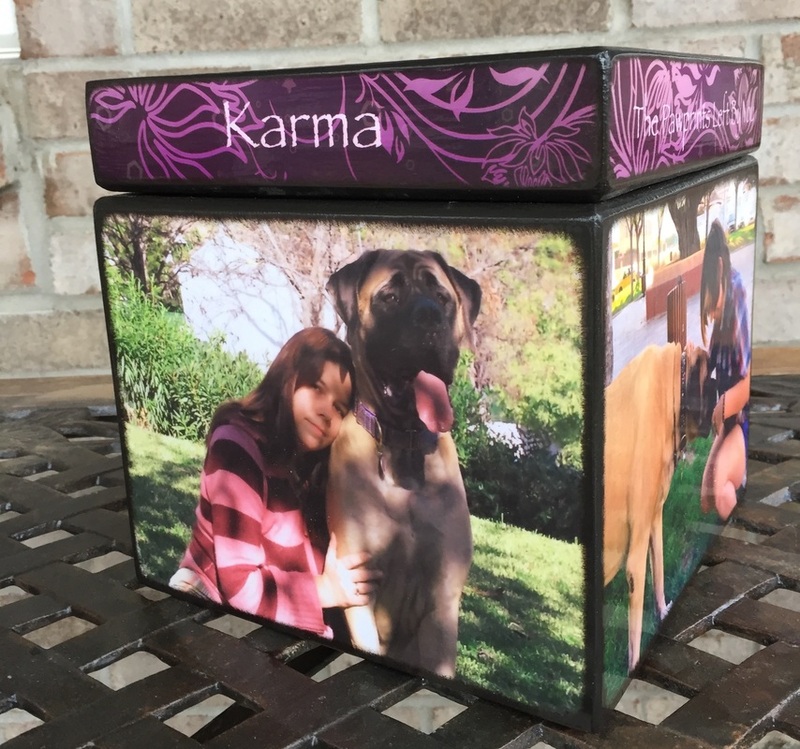 Katie worked with us patiently while we decided all the details, and crafted Karma's urn with so much care. It could not have been more perfect, and Katie made sure it arrived safe and sound in Spain. I can't thank her enough for making sure my best girl's final resting place was just perfect. Where do I start. 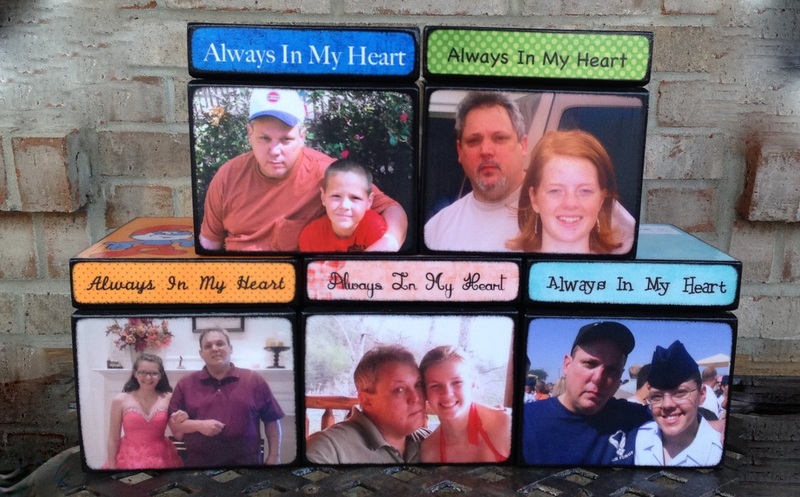 It seems that every step of the way through the grief process, Katie has been there with us. 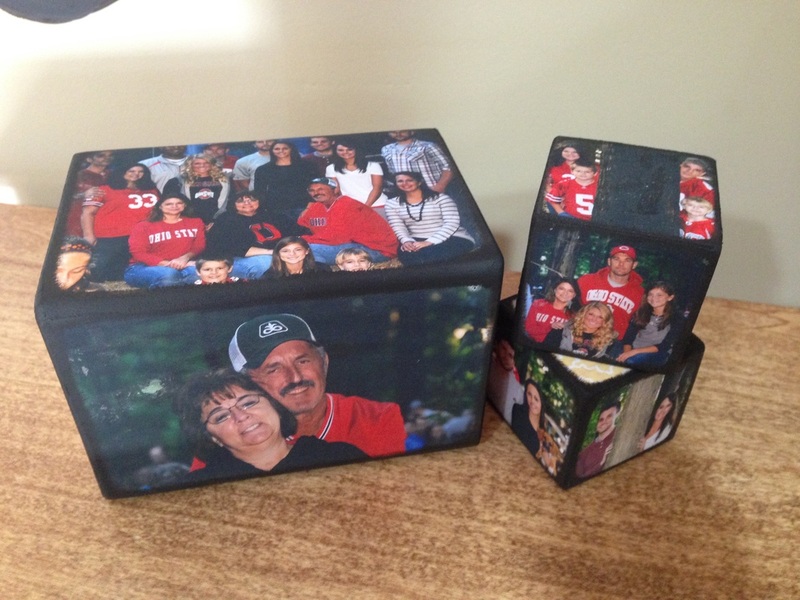 From the beautiful family tree, which was my first purchase, to the stunning job on 5 keepsake boxes she created for my children for their first Christmas without their daddy to the tissue box holder and desk set. Then onto a happy occasion she created the most beautiful baby treasure box to commemorate the birth of my great nephew to give to my niece. Not only is the workmanship second to none, but the personal interaction that Katie affords to you, genuinely makes you feel like you are the only other person in her world. I can not recommend her times highly enough. And yes, I have another order in the pipeline as we speak!! A family calendar!! I can't wait!! My Louie passed away at 15 1/2 years June of 2014. I was searching for weeks until I ran across "Blocks From The Heart." Since I am really not a trusting soul, I called Katie and left a message. 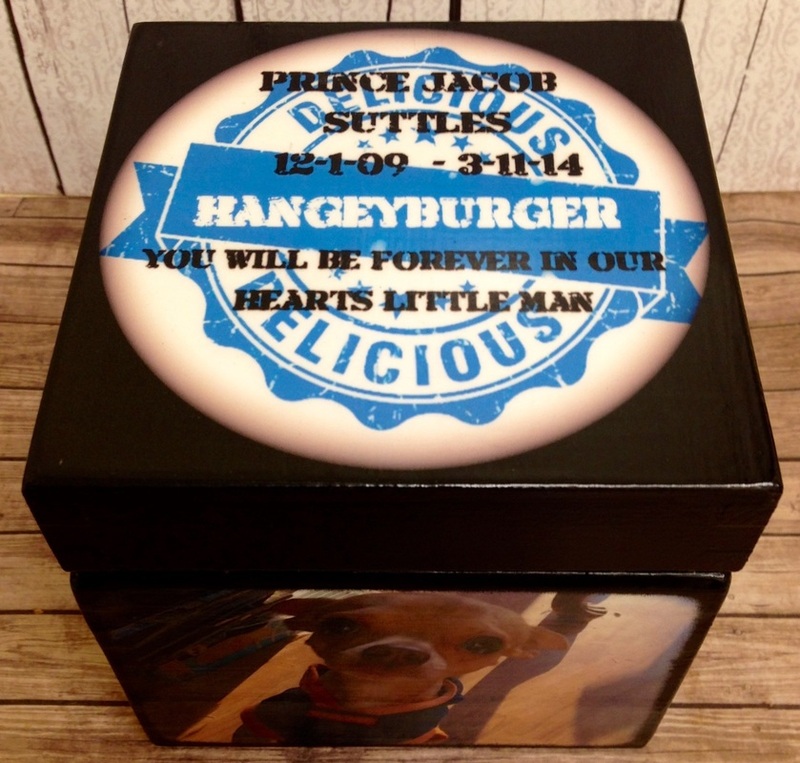 She called back and we went over the details...Let me tell you, I absolutely LOVE Louie's final resting box...Everyone loves it that sees it!!! 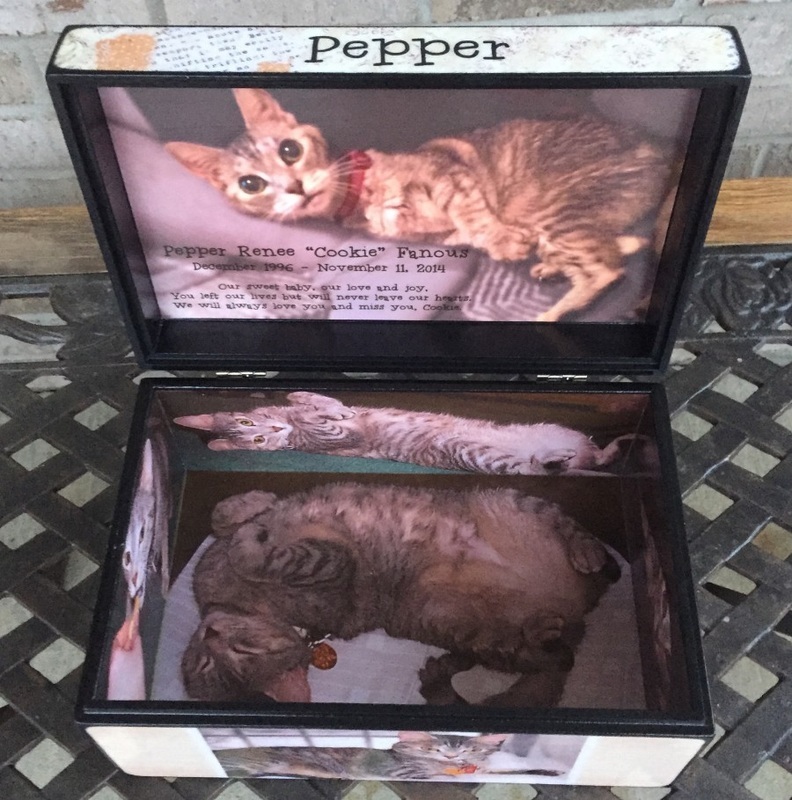 I was able to put his ashes and a few things of his in his box. This is a very special Wooden Urn that will be buried with me when I go. Katie also makes other things... I will be getting the personalized Christmas ornaments this year!! Thank you, Katie!! 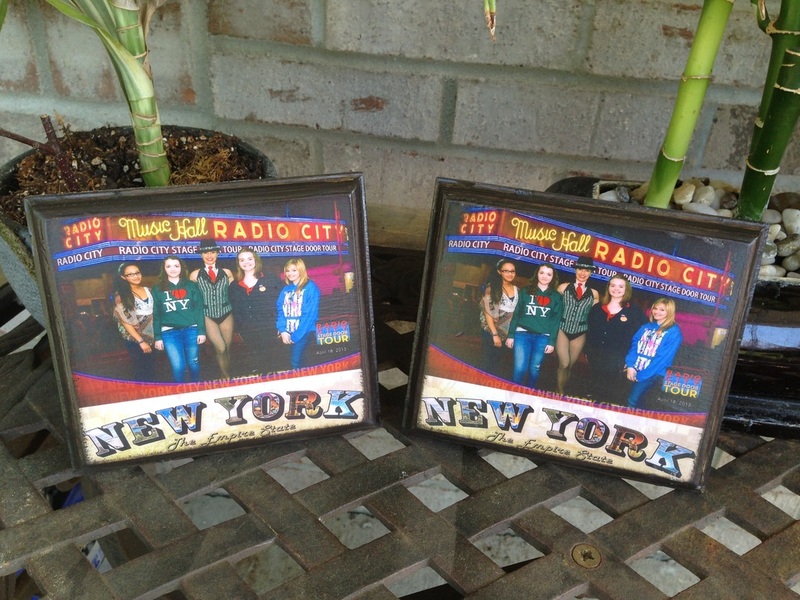 An excellent place to find that special gift that will be the talk of the party!!! I purchased a custom Growth Ruler for my friends who were having a baby... every time they see me, they keep telling me how much they love it cause they will be able to keep track of everyone's growth for years to come. I went back and purchased a second one and was the talk of the party again!! Thank you, Katie!! 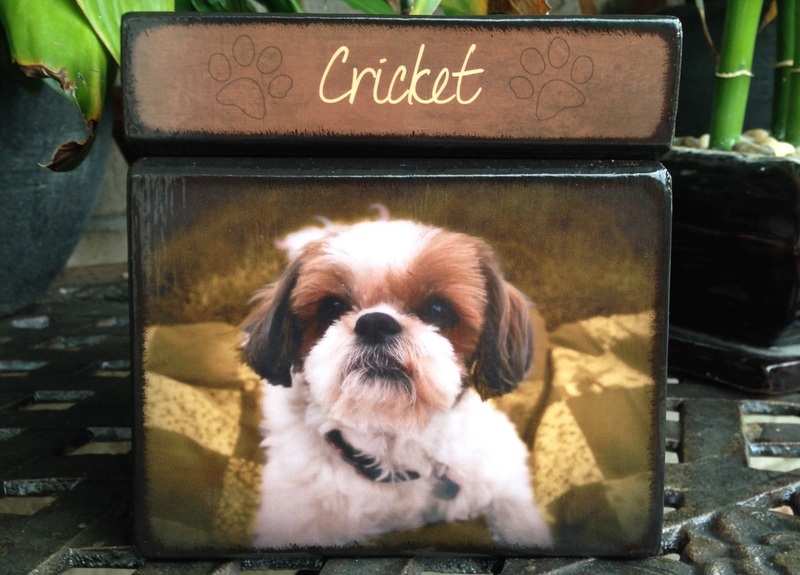 I found Katie when I was searching for the perfect urn for my Cricket girl. Words cannot express how the experience of working with her has touched my heart. She was touch through the entire process offering kind words and advice on the design. The finished product is beautiful!! I have since ordered at least 7 ornaments, 3 pencil boxes and am a proud owner of one of her gorgeous lazy susan's. Each piece that she makes is original and personal and truly a work of art. Thank you, Thank you, Thank you for everything! I bought one of Katie's creations and couldn't be more pleased. I sent a picture of our furniture and she stained it to match perfectly. Very professional and a great person in general. Thank you so much Katie! Working with Katie on Kobi's urn was certainly (what I would call) a divine intervention. Her compassion from the very onset made the journey in creating the urn so much easier (especially during such a difficult time of grief and sorrow). 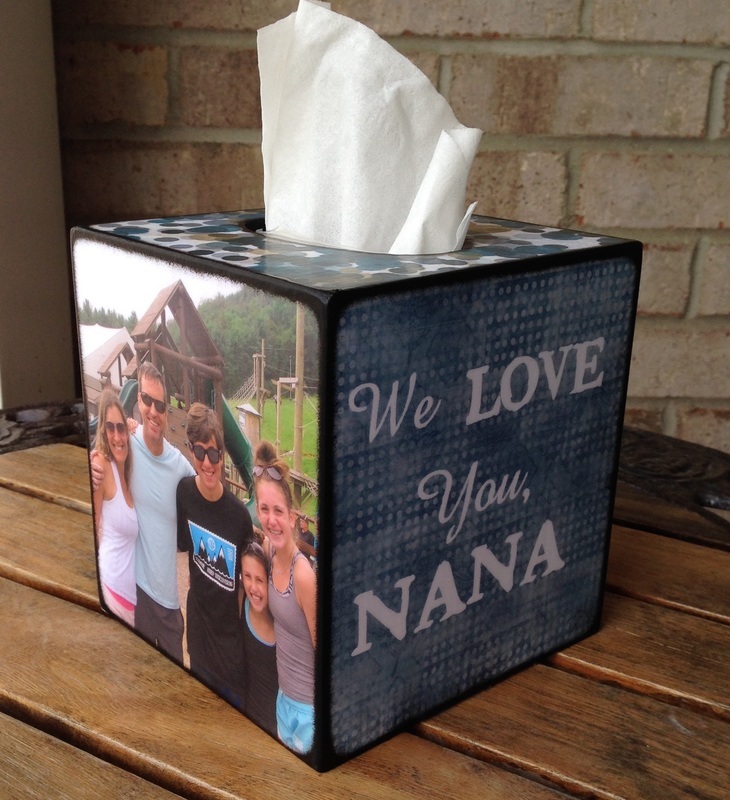 The memory box is not only a beautiful addition to my home, but it also depicts the special photographs and memories that will forever be cherished until we meet again. 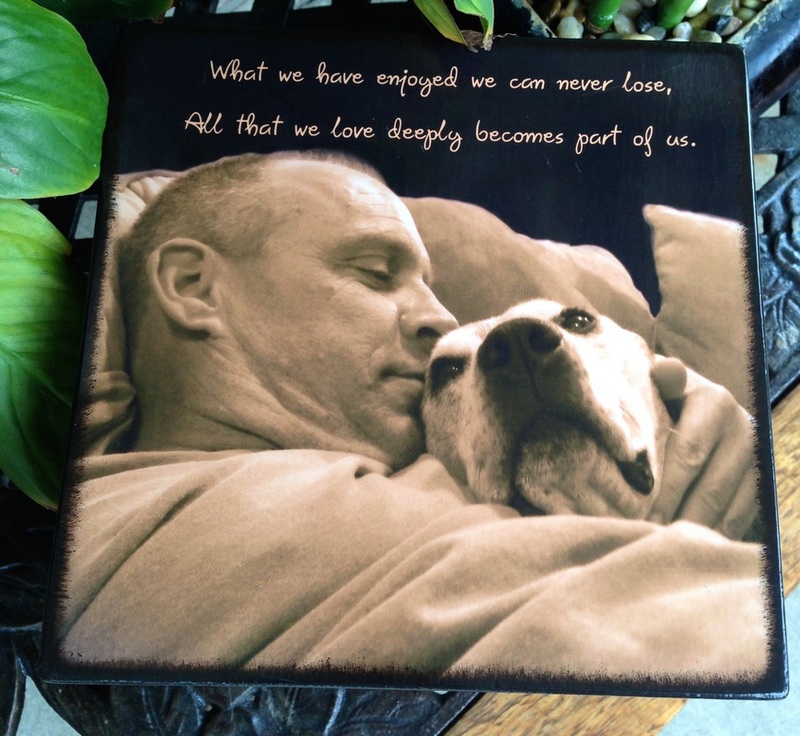 Thank you Katie for making such a wonderful tribute to a wonderful dog, named Kobi! Katie, I wanted to take a moment and thank you for what you do. You are so talented in the items you make. You made a star for my sister and also myself. We absolutely LOVE them. Out Father is terminal and this is a BEAUTIFUL way to capture the love we have for our family and our father. We will cherish the gift long after he is gone. Thank you for what you do for others with your talents. Katie's products are TRULY amazing and special. I have never loved anything so much. She is incredible to work with, emailed me through the whole process, pics of what it looked like ect. She was as excited as I was!! 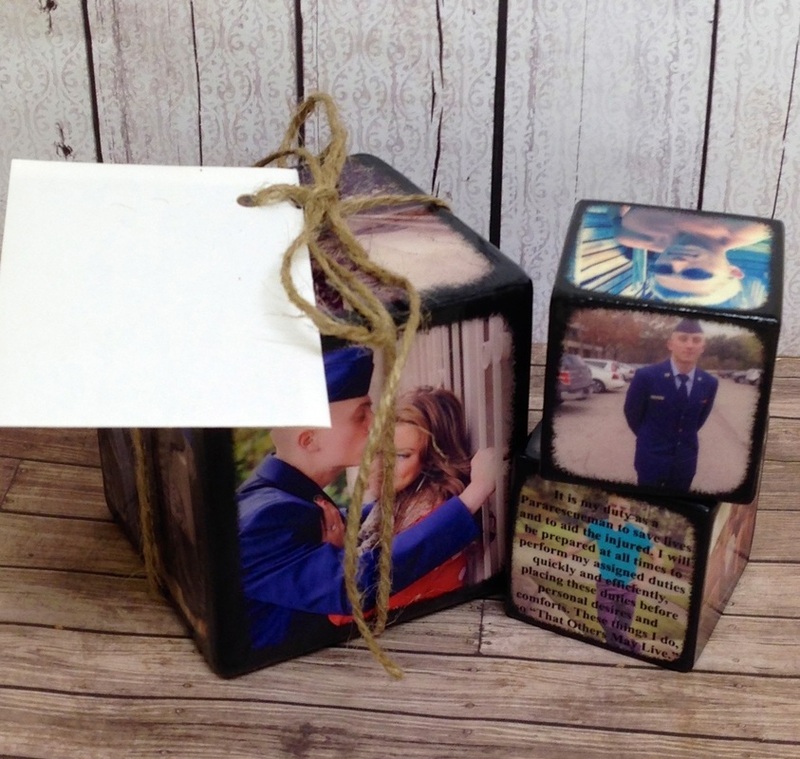 Katie is a gem and her work of art are forever keepsake treasures! I believe that the best gift we can give are pieces of ourselves. Whether the gift is made by my hands or someone who is filled with love. Katie's creations are certainly full of love and you see it. Thanks Katie for sending a part of you to share with the ones I love. I just loved the ornaments I purchased from you. Everyone that I showed them to thought they were wonderful. Even my grandsons were thrilled to get them for St. Nick. They loved the photo's of their football team and the Elder photo. Great job. Will recommend to everyone! 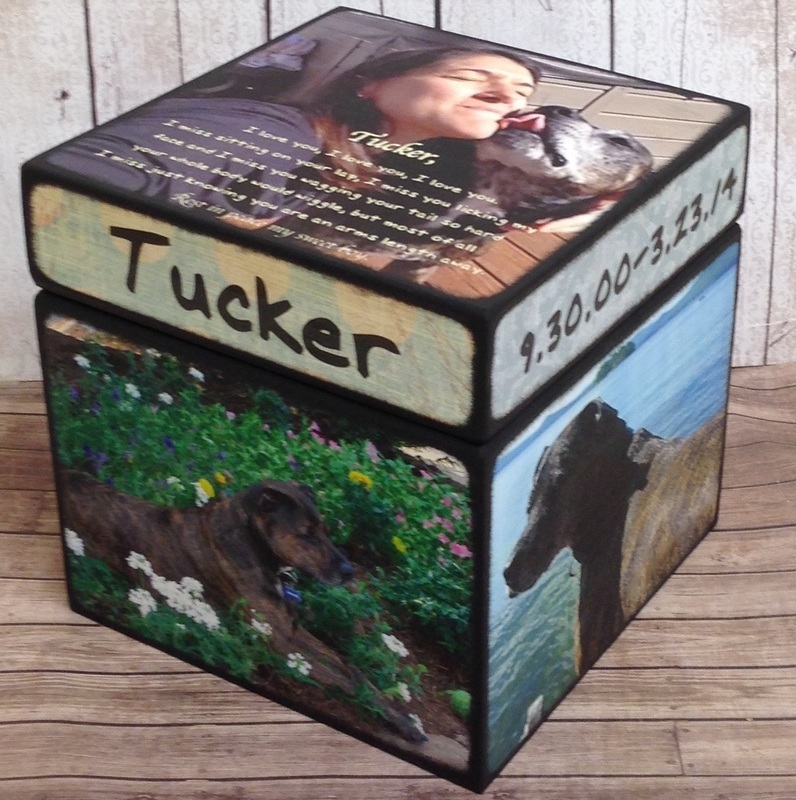 This urn is for my Tucker. His passing was so hard on me and my family but this captures him perfectly. It was a pleasure to work with Katie and I hope to work with her on happier projects. I received Jacobs urn this weekend and it was more beautiful than I could ever imagine! Thank you so much for giving him his final resting place. Now I will see him first thing every morning and the last thing at night. I will be referring everyone I know to you! Awesome, Awesome, Awesome! Katie not only did a terrific job on my daughter's shadow box, she helped me give our choir director a memory of our New York trip unlike no other! Love ya, Katie and so happy you are able to share your talents! It was worth the 2 hour drive! It sure isn't hard to come up with a compliment on your work. You are the sweetest, KINDNESS, person on the phone, or text to deal with. Customer service is A++. Your work is amazing and the joy from the work will last forever! 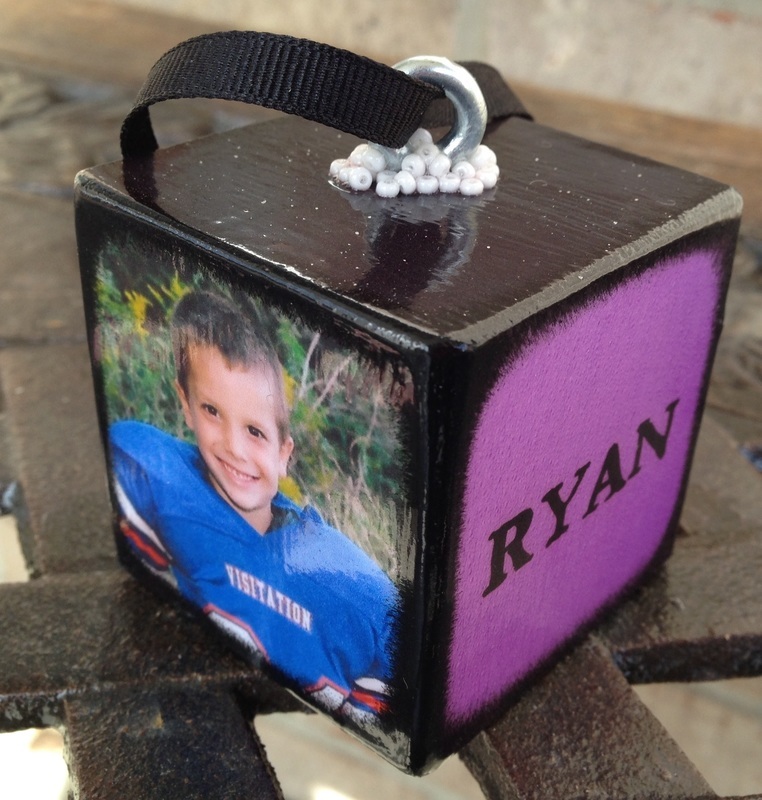 The pictures are high quality and as our kids age, these will last a lifetime! You're simply amazing! 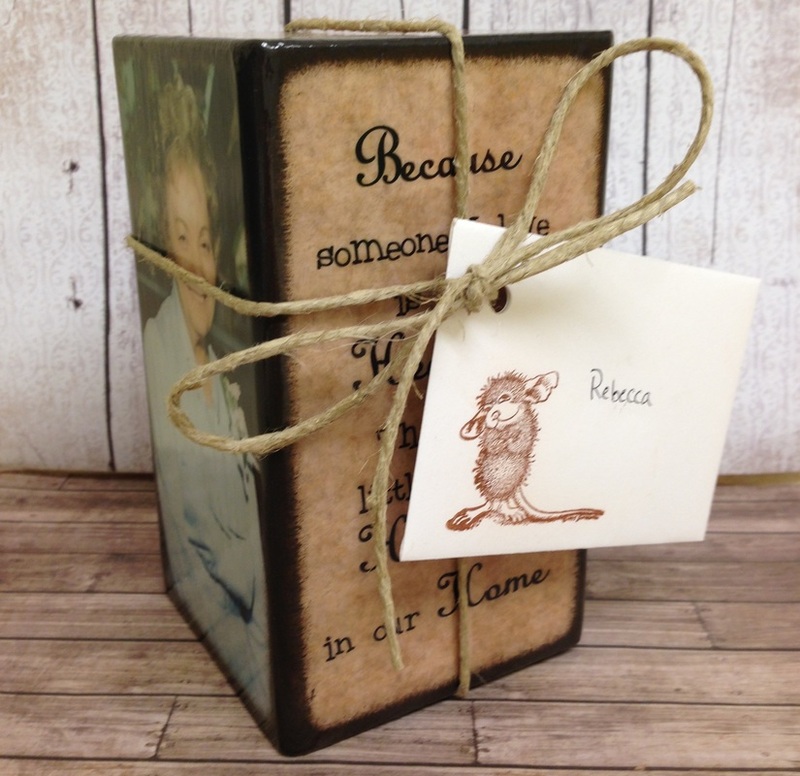 I am so glad I found your page in time for a quick Christmas gift! I wish you many more years of success in your business. You deserve it! I received my block today and there are no words to describe how beautiful it is. It brought me to tears. You are an amazing wonderful creative person. I thank you for your talent! I could not be more pleased and i am so grateful to you for your amazing talent. I am happy I found you!! Looks SO professional and precise!! She is so fun to work with and I can't wait to place my next order!! 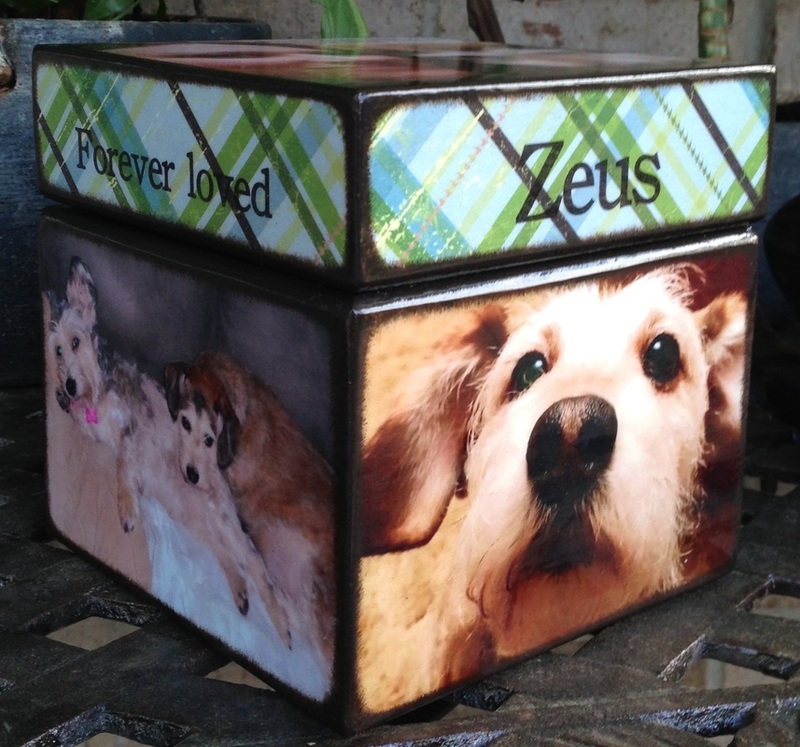 Not only does Zeus' urn look amazing but you are a caring individual. I am telling everyone about you and will definitely be ordering from you in the future. Lil Lady your work doesn't just make memories, it touches our hearts in ways we can't explain.... well until you work your talent/gift. Then we are still speechless but your creations speak everything we feel without saying a word. You always capture every emotion we feel thru your work. Hopefully, that makes sense. Thank you God for blessing Katie with your heart, then allowing her to create it thru her hands. Thank you for allowing her to bring joy, peace, healing, love and so much more to those around her. Amen!